[jamieredknapp] More now from Jamie Redknapp, who believes it is a case of mixed fortunes for the two English sides in the Champions League quarter-finals. He thinks Chelsea have a chance to progress past Paris-Saint Germain, but Manchester United face a much tougher task against Bayern Munich. Bayern Munich are an incredible side and they now have that belief, after winning the Champions League last year, that they can go and beat anybody. When they beat Barcelona 7-0 on aggregate last year it was an incredible night of football and it just shows you the capability they have. [westham] Sam Allardyce is hoping West Ham's return to home comforts will help them back to winning ways against visiting Manchester United on Saturday evening, in a game which can be seen live on Sky Sports 1HD at 5.30pm. The focus is to maintain the home results and try our best to pull off a big win, but if we can't, come away with at least a point. [hull] Hull City boss Steve Bruce will be without winger George Boyd for tomorrow’s clash with West Brom at the KC Stadium. Boyd will begin his three-match suspension for spitting at Manchester City goalkeeper Joe Hart during last week's defeat after his appeal against an FA charge was dismissed this week. Bruce has no fresh injury concerns and will be banking on striker Shane Long to prove a point when he comes up against his old club for the first time. [hull] Hull City boss Steve Bruce has been asked for his opinion on George Boyd's punishment at his pre-match news conference. 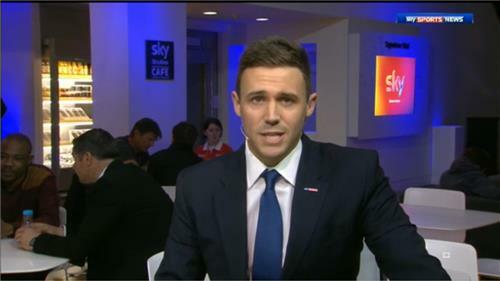 [audio] Danny Mills has delivered his Champions League draw verdict to Sky Sports News Radio, after Manchester United were paired with Bayern Munich and Chelsea were given a tie against Paris Saint-Germain. [manchestercity] Manchester City are gearing up for a home game against Fulham tomorrow but they will be without Sergio Aguero, and manager Manuel Pellegrini has already ruled the top scorer out of next week's derby against Manchester United. We don't know yet, but maybe next week he will start working with the squad. I don't think the whole week, maybe at the end of the week he can be with the squad starting training. For United, no, no chance. [socceram]West Ham will be trying to get the ball in the goal when they take on Manchester United in Saturday Night Football but for now, watch the squad try and land the ball on it instead in an extended Soccer AM Crossbar Challenge. Chelsea v Arsenal: The last Chelsea player to concede a Premier League penalty under Jose Mourinho was Khalid Boulahrouz, and it was against Arsenal (May 2007). Cardiff v Liverpool: Cardiff have won their last five home league games against Liverpool, but the last of these was in August 1959. Everton v Swansea: Everton have never lost in any competition to Swansea, and have already beaten them twice this season, once in the league and once in the FA Cup. Hull v West Brom: None of the last six league meetings between Hull and West Brom have ended as a home win, the last two being draws and the previous four away wins. Man City v Fulham: Fulham had one point fewer in 2007-08 (23) than they currently have (24) and still managed to survive, partly due to a 3-2 win away at Man City where current England boss Roy Hodgson triumphed over former England coach Sven Goran Eriksson. [chelsea]Jose Mourinho believes Paris Saint-Germain will be happy to have drawn Chelsea in the Champions League quarter-finals, because he feels his Blues side are outsiders for the competition. [ssnr]Sky Sports News' Tom White speaks to SSN Radio about what's on tonight's Weekend Warm-Up, including a sneak preview of the big interview with Southampton's Adam Lallana. [jamieredknapp] Jamie Redknapp is tipping Manchester United to follow up their midweek victory by claiming three points at Upton Park. 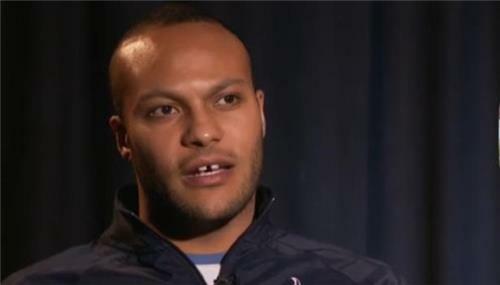 "This is always a tough fixture for United as there's a bit of animosity between the two clubs. However, I reckon United will win 2-1 and build on the positive mood created on Wednesday." 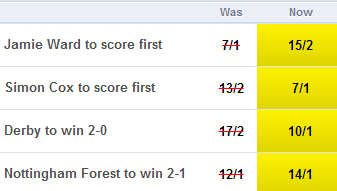 Check out Sky Bet's match odds. [manchesterunited]Striker Robin van Persie will miss Manchester United's Saturday Night Football clash at West Ham (live on Sky Sports 1HD from 5pm) because of a knee injury. United will assess winger Antonio Valencia after he sustained a gruesome black eye against Olympiacos in midweek. Defenders Jonny Evans (calf) and Chris Smalling (hamstring) are doubtful, but Nemanja Vidic is definitely out through suspension. 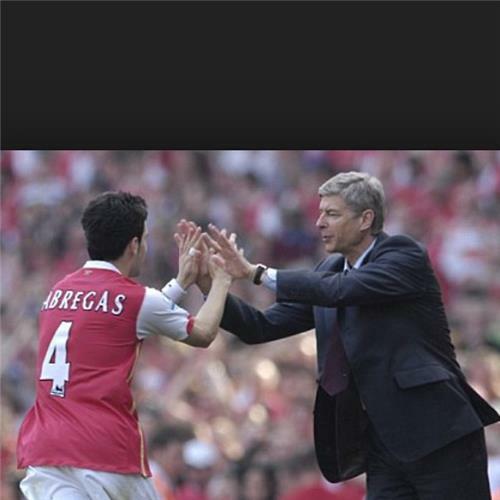 [arsenal]Instagram well-wishes for Arsene Wenger on the eve of his 1000th game as Arsenal manager, from one of his former charges - Barcelona's Cesc Fabregas. [southampton]Morgan Schneiderlin and Guly Do Prado are rated as doubtful for Southampton when they travel to face Tottenham in the Premier League on Super Sunday (kick-off 1.30pm). Midfielder Schneiderlin has a muscle problem around his pelvis, leaving Saints short of options in midfield, with Jack Cork and Victor Wanyama still out. Kelvin Davis also faces a late fitness test. Billy is doing the right job and when we lose, of course I am upset - but we have to get over it and we have to solve our problems for the next game. 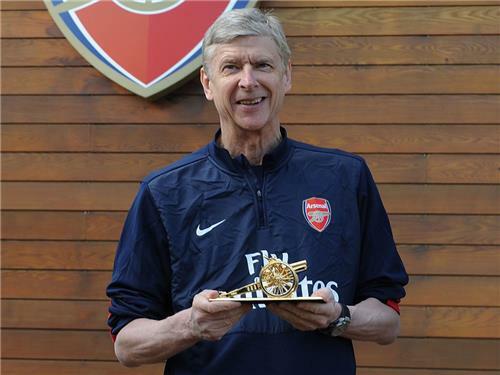 Arsene Wenger's been taking up plenty of airtime today and ahead of his 1,000th game in charge of Arsenal - a corker against Chelsea, no less - he was presented with a golden cannon at training today. To celebrate, we sent our man Adam Craig to meet David Dein, the man who brought Wenger to Highbury. That interview - Arsene Who? - is on Sky Sports 1 tonight at 6pm and 10.15pm but you'll also be able to watch On Demand. If you haven't seen it already, here's how Wenger reflected on the imminent milestone earlier today. Some breaking news concerning Robin van Persie and it's most unwelcome. The Manchester United striker was stretchered off against Olympiakos after scoring a hat-trick and has been ruled out for 4-6 weeks with a sprained knee. More on this as we have it. Here's how Manchester United broke the news on Twitter. 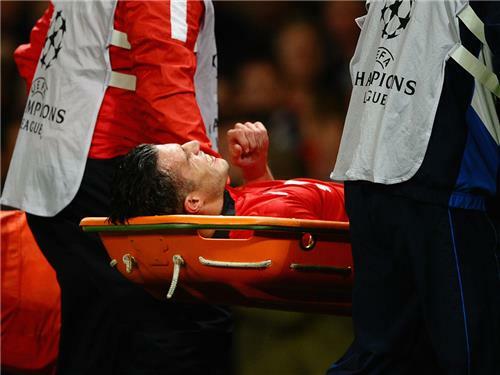 The prognosis means Van Persie will miss both legs of United's Champions League quarter-final against Bayern Munich and may struggle to return to fitness before the end of the season. From joy to agony. It was Van Persie's treble at Old Trafford on Wednesday that ensured United overcame a 2-0 deficit to reach the last eight. Before that double-header, he'll miss Tuesday's Manchester derby. Younes Kaboul missed the 2-2 draw at Benfica that saw Tottenham exit the Europa League 5-3 on aggregate. Spurs are seven points behind Manchester City, having played three games more, and nine behind Arsenal, having played two more, but the defender won't give up. It's going to be tough but we've been in this position before. We're going to work hard to try and get there. The ability is there, the quality is there but sometimes we are being too nice to each other. We can't have any more mistakes until the end of the season, we have to avoid that. Tim Sherwood was similarly bullish after a fine second-half performance from his side in Lisbon. 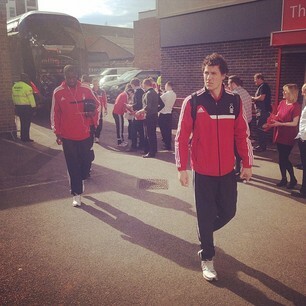 Plenty of positives to take from that game, he reckoned, starting against Southampton on Sunday. A trio of games tonight, in case you were wondering. Bristol Rovers host Southend and Oxford United welcome Hartlepool in League Two, while there's a lone Scottish Premiership clash between Hearts and Dundee United. If you fancy perusing the fixtures further afield, you can do exactly that right here. Adam Lallana told Weekend Warm-Up he was not taking for granted a place in Roy Hodgson's World Cup squad. Adam Lallana is hoping for a big few month for club and country. The midfielder told Weekend Warm-Up he's desperate to help Southampton into Europe - and seal his spot on the plane to Brazil in the process. In the long term I would love to feature and play in Champions League football, but I'm sure everyone in our team will tell you that. For the moment I'm just really focused on the remaining part of the season. It's going to be a tough eight to nine weeks and hopefully fingers crossed a busy summer. I need to keep working hard, concentrate on my fitness and on my form. I'm fully focused on trying to get the club into the Europa League. People might say it's a given (making the squad) but I can't think like that; the moment you do it starts slipping through your grasp. When I've played for England and trained with them it's great. You get that taste for what it's like playing with the world's best players and on the best stage in the world. I've enjoyed every moment of it and I want to keep progressing and hopefully get as many more caps as possible. Of course I'd love to go to the World Cup, but I just want to make sure I keep my feet on the ground and keep working hard and hopefully that formula will make me get into the final squad. I think if you'd asked the Spanish football team here at Sky Sports what we thought about this game a few weeks ago, we'd have categorically said a Real Madrid win - quicker, more team harmony. But things have changed. There've been the tiniest signs that the style of football Carlo Ancelotti has got them playing so successfully has come at a minor cost. There have been concentration lapses and some players, by Ancelotti's own admission, look a little fatigued. Barcelona hit the lowest point in the last 10 years at Valladolid a couple of weeks ago and that was exactly the pinch to their pride that they needed to lift their energy. They've finally got all their key players fit at the same time. I don't see Barcelona coming away with anything worse than a draw. To get you in the mood, here are the highlights from October's meeting between the two La Liga heavyweights at the Nou Camp. Slippers off. Coffee drunk. Game faces on. It's Saturday and Sky Studios is buzzing with anticipation. We've a full programme of football fixtures to get our teeth stuck into and we can't wait to share it with you. This is one of the most thrilling Premier League seasons in years and pretty much every game has got something riding on it today, be it at the bottom or the top of the Premier League. 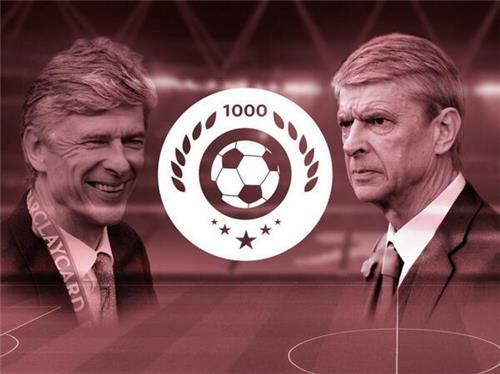 First up Arsene Wenger's 1,000th game in charge of Arsenal takes him to Chelsea at 12.45pm before fellow title contenders Manchester City and Liverpool play at 3pm. We're then really looking forward to live coverage of West ham v Manchester United from 5pm on Sky Sports 1. Here's what the newspapers are saying this morning about Arsene Wenger's 1000th game, Robin van Persie's injury blow and more. So Will Hughes, who was named Football League Young Player of the Year last weekend, is only named on the bench for Derby today after limping off against Reading with a slight groin strain so Jeff Hendrick starts. John Eustace is suspended for two games after picking up 10 yellow cards this season and so George Thorne, on loan from West Brom, makes his debut. Derby make four changes in total with Patrick Bamford replacing Simon Dawkins and Michael Keane replacing Richard Keogh. Andy Reid misses out for Nottingham Forest after limping out of the Reds' goalless home draw with Doncaster last weekend and that has paved the way for Jamie Mackie to be named in the starting XI with Darius Henderson on the bench. Guy Moussi replaces Greg Halford in the only other change. Our coverage from the iPro Stadium starts on Sky Sports 1 at noon - and we'll have full updates here on the blog. Ahead of this lunchtime's East Midlands derby, Forest defender Danny Collins has told Sky Sports News Radio that Billy Davies can take the club up this season. [betting] Check out our Price Boosts for the early kick off between Derby and Nottingham Forest in the Sky Bet Championship. See all our markets now.